Operating within a demanding sector requires communication solutions that are effective and efficient, and which are able to adapt to a constantly changing internal and external environment. With over 17 years’ experience of serving GP Practices, Fifteen Group are one of the UK’s leading technology suppliers, providing award winning solutions across the UK that are bespoke to the practice and the needs of the community they serve. Having ineffective communication solutions within a GP Practice can leave patients, suppliers and staff feeling frustrated and can leave a long lasting negative perception of the practice as a whole. Communication solutions need to be driven by your patient’s needs and they should be able to adapt to changes within the practice easily and effectively. When was the last time you reviewed your telephone system? Are you able to measure the performance of the telephone system? How does your telephone system and service perform in patient surveys? Would you like to be able to record conversations? Has your practice recently grown in size but your communication capabilities haven’t? Having the right system in place can ease some of the burden and improve the way the GP practice operates. Your telephone system is the gateway to the practice. Ensure those who need to make contact are able to get through and able to access help when it is needed most. We partner with NEC to provide our clients with the best in communications technology. We understand that GP practices need to be able to resolve any technical issues as quickly as possible. That is why we offer a full maintenance service, so that the service you offer to the community remains uninterrupted. Did you know we can maintain your telephone system, even if we didn’t install it? Hardware Replacement: Full faulty hardware replacement is included, even due to power surges and lightning strikes. Helpdesk: Telephone help desk support for users and free remote programming and changes. These attacks can often happen out of hours and to any organisation size and in worst case scenarios, can lead to severe financial losses. All NEC telephone systems are inbuilt with Toll Fraud Guard which provides effective defence 24 hours a day, 7 days a week. Make sure your practice is protected and safe from hackers. To fully understand the type of service your patients are receiving, measurement of call performance becomes essential. Does the number of incoming calls outweigh the capabilities of staff? Can you compare high volumes of calls with seasonal fluctuations? Would you like to record conversations? Does the performance of the telephone system impact on the overall performance of the practice? Would your patients like to be able to communicate via other means? Fifteen Digital carried out an assessment and came up with a total solution that suited all of our requirements, their advice was very beneficial and the service from the installation engineers was second to none. Not only was the project completed within time and budget, but the after sales service was excellent! 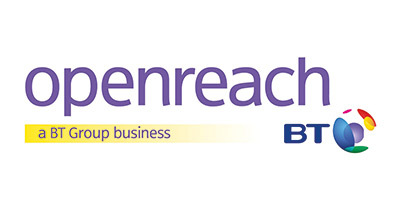 Fifteen Group are partnered with NEC to provide the latest communications technology. We identify the best solution for the issues you, as a practice are experiencing. Not only do we provide bespoke communications solutions, but we also deliver IT solutions. These provide essential support and technical advice that help your GP practice carry on with little or no impact on the patient service. GP Practices often need to extend their current premises or in some cases move to a more suitable location in order to meet the needs of the community that they serve. We ensure that the transition is smooth and without interruption to the vital services the practice provides, together with maintained connectivity. Your data cables from the foundation of your system and we can work with existing cabling or provide a brand new network around your infrastructure.